The report is prepared on the basis of data derived after three months long monitoring of main news contents of major National media outlets for their representation of gender. It also presents annual trend of the women's presence in news byline and as news sources. The study report seeks to gather baseline information on existing knowledge, attitude and practice (KAP) on citizen-state engagement, the mechanisms and tools used to promote such engagement. The Training of Trainers (ToT) manual focusing on four themes of Open Data, Budget Transparency, Citizen Reporting and Grievance Reporting is framed to promote citizens' participation in local governance. 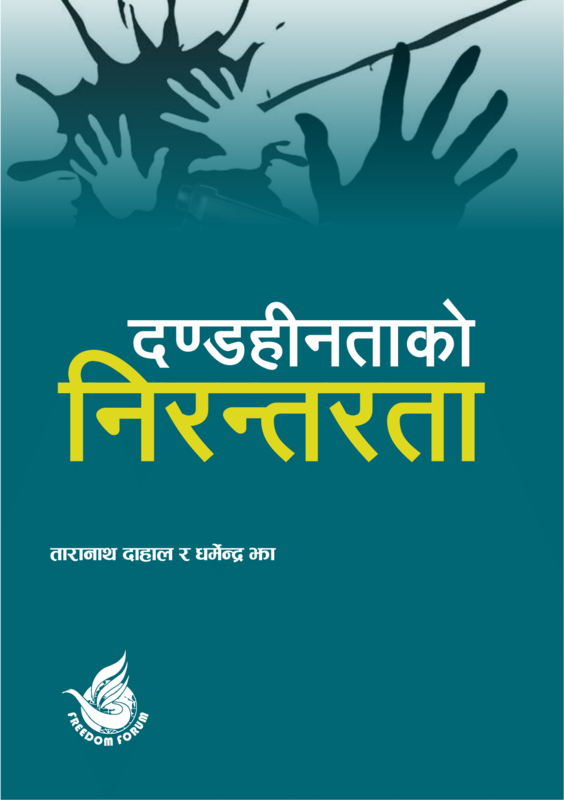 This edition features annual press freedom report, review on draft bill of media, FF writing letter to Facebook, world press freedom, open data and open parliament, women's presence in Nepali media and more. This is the fact sheet of the press freedom violation incidents occurred from January 2018 to December 2018 monitored by FF. Freedom Forum reviewed and prepared the report on Broadcasting Bill of Province 5. The report is submitted to Ministry of Internal Affairs and Law and Chief Minister Shankar Pokhrel. The report comprises details about the End Impunity for Crime against Journalists program organised on November 2 at Central level and at the provincial level. Freedom Forum has submitted a review report on Media Management Bill-Province 3 to the Ministry of Internal Affairs and Law of Province 3, Provincial Affairs Committee of the Assembly, Assembly Members and other stakeholders. The bill has presumed to protect and promote freedom of opinion and expression, communication and right to information along with regulating the managerial aspect of media outlets. Most of the Provincial Affairs Committee members appreciate this initiation of FF which has backed them a lot while finalizing the bill during assembly discussion. FF has reviewed this bill being based on the international standard of Freedom of Expression, Media Law and the Constitution of Nepal. This is three-monthly report prepared after monitoring the news content of mainstream provincial dailies through gender perspectives. FF conducted 2nd Media mission for the year 2018 from 26 to 31 October in the Province 7, which showed press freedom is suffering much because of political unrest and demonstrations. This three monthly report presents the quantitative picture of the presence of men and women in the news contents of the dailies. This report is based upon the monitoring of main news contents from 21 daily newspapers from seven Provinces of Nepal from April to June 2018. Freedom Forum hereby presents some comments and recommendation on Privacy Draft Bill-2075. Freedom Forum hereby presents some comments and recommendation on Press Council Draft Bill- 2074.